Perfecting a proposal or presentation for loans, sales, job applications, or any other important event can be stressful enough on its own without worrying about the appearance of your information. Our printing services in Los Angeles can take a little bit of the edge off as we develop the perfect presentation folder for any occasion. From simple protective sleeves to elaborate designs and pockets, the folder is going to be the first impression that your targeted audience will see. The job market is competitive right now, and it takes a little something extra to stand out from the pack when going after that job. How potential employees present themselves is many times just as important as what goes on the resume and cover letter. Custom printing in Los Angeles will set presentation folders filled with important work and school history documents apart and instantly give someone a leg up in a highly competitive work force. 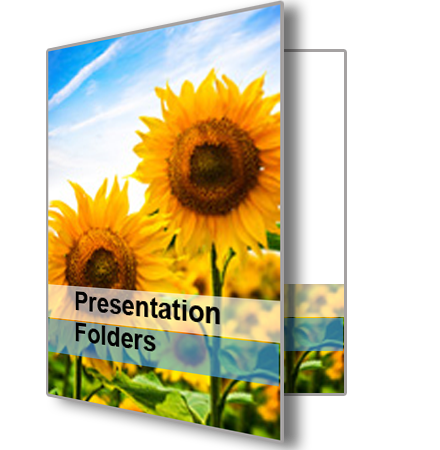 Presentation folders are also a perfect way to unify and formalize messages, proposals, and presentations for companies and their employees. Staff will be able to put together straightforward presentations with every party understanding exactly how to present their next assignment. It will also lend that personal touch to companies wishing to stand out when they are looking for loans, customers, or any other important piece of maintaining a successful business. Folders come in a wide variety of styles including double pocket, single pocket, landscape, tabbed, over-sized, and more. For over 20 years, our printing company in Los Angeles has been providing locals with every printing need imaginable. Our experienced staff is here to help you with full color printing, graphic design services, engineering copier, blueprints, roll-up banners, magnetic signs, oversized copies, letterheads, envelopes, postcards, posters, passport photos, brochures, flyers, mousepads, mugs, rubber stamps, laminating, outdoor signs, office supplies, legal forms, photo enlargement, and business cards. Feel free to call, utilize our website, or speak with us in person and we will deliver your order directly to you, anywhere in Los Angeles.